Hi blog followers and welcome to my weekly blog. Coach Ray had me back in the pool on Monday this week to see how my injured shoulder would stump up and it didn’t play the game. A visit to the Physio with some more stretching to get into it afterwards, and a massage from my sports masseuse must of worked as I’ll explain later in this blog. But first how did this week’s training go.? Everything on Coach Rays training schedule was going well except for the swim, where I couldn’t even do a length without huge discomfort. I had to focus on swimming 1 in every 10 lengths with both arms and single arm for the other 9 lengths. With the Quarter Ironman looming, I started to wonder how I was going to manage it. I knew I could do the 1 km swim with one arm if I had to, but was more concerned that it just wasn’t coming right. But swimming aside, I carried out all of Coach Ray’s training in Training Peaks or so I thought. 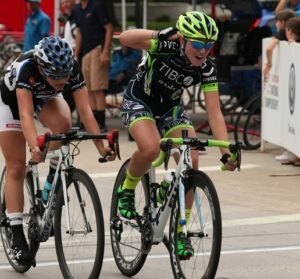 I had it in my head that Coach Ray has me doing a 30 min cycle the day before an event to test and adjust the bike if need be. So without checking Training Peaks off I went, when I returned my Garmin transferred the training to Training Peaks through my phone. When I checked later I was shocked to see the cycle completed, but a run listed. I always make contact with Coach Ray the night before an event and explained my blonde moment. 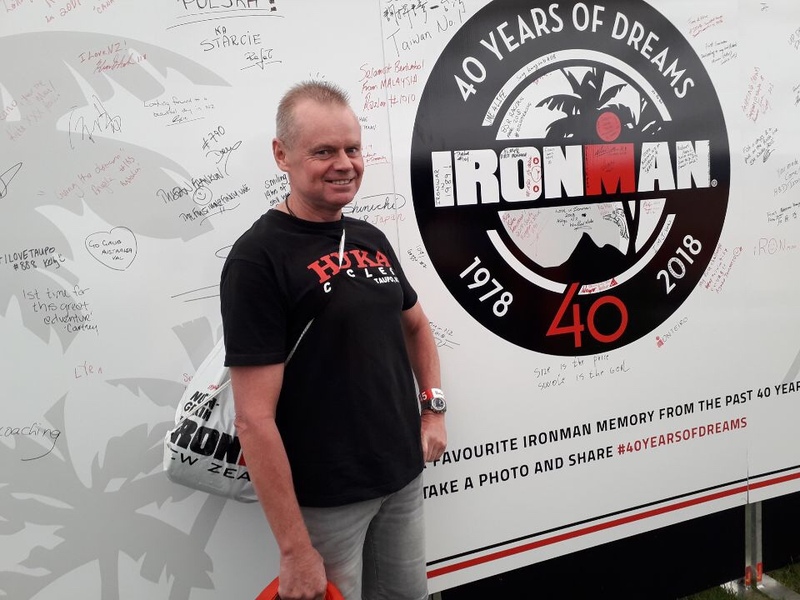 Coach Ray, who is always calm about mistakes, brushed it off and said to not worry about it and to focus on tomorrow’s IronMaori Quarter Ironman. I was relieved as I always feel like I’m not only letting myself down, but also Coach Ray. 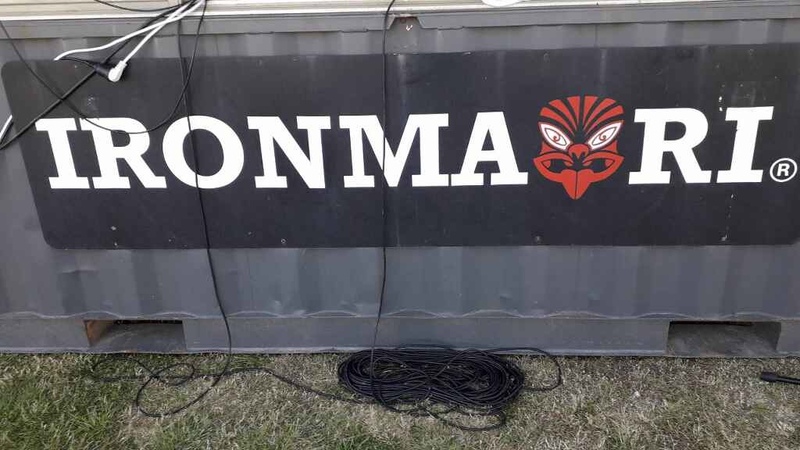 IronMaori Quarter Ironman – Event # 2 of 8 in my calendar of events for the Cameron Brown Award and IronMaori / Port of Tauranga Legend Series. I checked in for Registration on Friday after scoping the Merchandise Tent and making a purchase. Once registered I retrieved my bike from my car and racked it taking a mental note it was opposite the last street light before the last portaloo. It is handy when running from the swim to have a landmark to look for so I can find my bike amongst the hundreds. I also like the furthest away position so when I dismount the bike I have further to run to loosen my legs, so I’m not trying to do that as part of the run leg. It is just a personal choice though and others will have their own preference. I then wander around and get into the event vibe to focus and catch up with familiar faces. The common talk was how cold the lake was. Race Day – I was up and about at 4:30am which is easy for me being an insomniac at the best of times. I arrived after 5am to adjust the tyre pressure and lay my kit out in the order I wanted it. The other good luck with where I positioned my bike was I shared the whole rack with one other instead of about eight to a rack, so I had plenty of room. I then got into my old wetsuit as it is easier to get into with the zipping style with a bung shoulder. Once called to clear Transition, I headed to the water to see how things were like other swimmers, and gee it was freezing. When we called out of the water we lined up awaiting the Karakia followed by the Maori Challenge. Then the elite swimmers were off first, followed by us in waves of 25. I chose to be in almost the last wave of 1,000 swimmers due to my slower pace with my shoulder. I hit my Garmin as I crossed the Transition mat and welcomed the cold water again. Gee it was cold. Once I got used to it and found my space, I tried my luck at swimming with both arms, which didn’t feel too bad after the Physio and my Sports Masseuse had dealt with it, plus I had an arm compression sleeve on it and my wetsuit. I didn’t want to push my luck and aggravate it, so I found by swimming 30 strokes (15 on each arm), then resting a few seconds, then repeating I was only having minor discomfort. Sure I couldn’t reach forward as far with my left arm as I could with my right, but I had my routine back so was really stoked that I still finished the 1 km with bilateral swimming at a slower pace of 33+ mins. The bike went relatively well after everyone shivering in Transiton from the swim in Pandora’s Pond. I recalled Coach Ray’s comments to me about consistency, and tracked that with my HR Monitor, even though I knew it would climb and decrease with the lovely hills on the course. 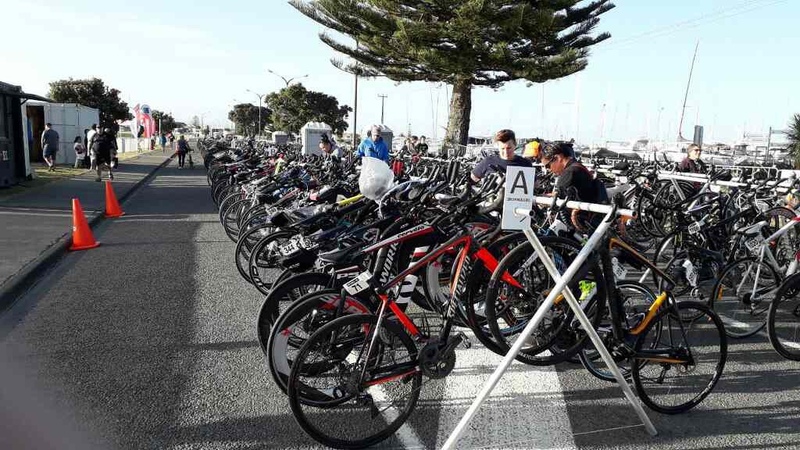 I was only passed by a few people on the bike and noticed I was passing lots, finishing the 45 kms in 93+ mins and warming up on the bike from the swim. A brief stop for Transition and toilet stop on the way out of Transition and I was into the 10 km run. I felt good so I decided to find Coach Ray’s consistency pace and go for it at a pace I knew I could maintain. I chased down people in front of me by thinking to myself, catch the one in red, catch the one in black, catch…and it worked well for me. I also noticed my Garmin alerted each kilometre between about 5 mins 3 secs to 5 mins 8 secs, so I used that as my pace tool, grabbing electrolyte drinks as I ran past and throwing water over my head. After the swim and cycle I knocked the 10 km run out in 51+ mins, which I was happy with being aged 52. The best part is the finishers’ chute and of course receiving my finishers’ medal. 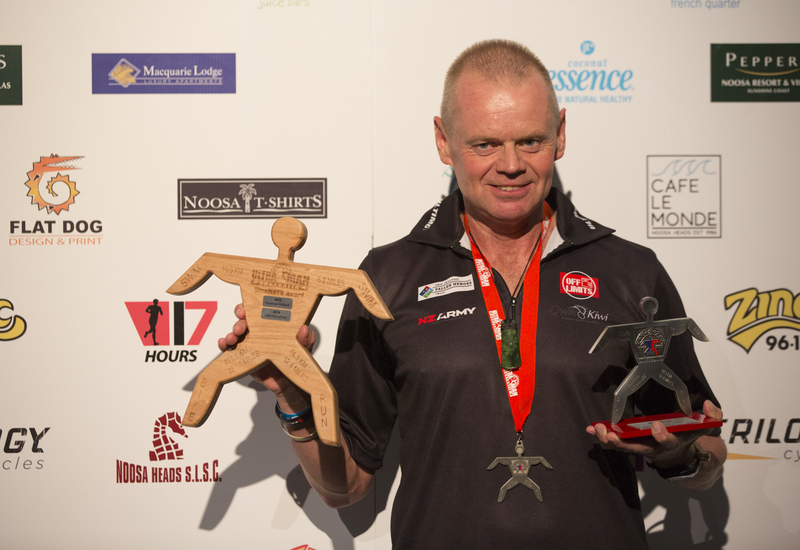 Stay tuned team as I head towards the 3rd event of 8 for my Cameron Brown Award and IronMaori / Port of Tauranga Legend Series, being the Around Lake Taupo Cycle Challenge in 3 weeks time, of 160 kms. Regards John Humphries (aka UltraHumps). 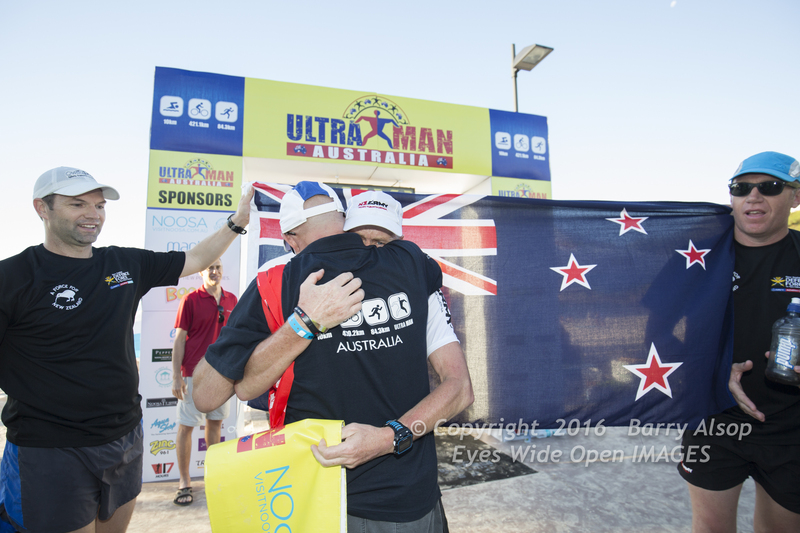 Tagged:Cameron BrownCameron Brown AwardIron Maori Quarter IronmanIronMaoriIronMaori Quarter Ironman.